Indian Navy SSR admit card, Indian Navy MR admit card and Indian Navy AA admit card will be released on the official website, joinindiannavy.gov.in. Indian Navy SSR admit card will be released on the official website, joinindiannavy.gov.in. 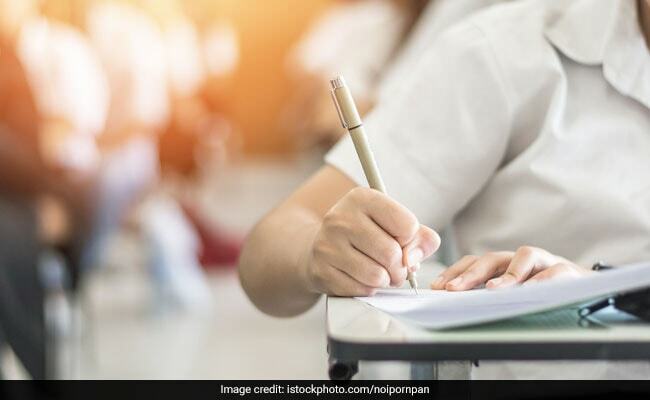 Indian Navy SSR admit card: The Indian Navy is yet to release the SSR admit card for the common exams scheduled for the SSR and AA recruitment of 146 batches scheduled to begin from August 2019. According to an official notice available on the Indian Navy website, the SSR, MR and AA admit cards will be released on February 15, tentatively. The Indian Navy SSR admit card, Indian Navy MR admit card and Indian Navy AA admit card will be released on the official website, joinindiannavy.gov.in. "Admit Card Link for AA-146, SSR - Aug 2019 & MR - Oct 2019 Batches will be uploaded on Dashboard tentatively by 15 Feb 2019," said an official notification regarding Indian Navy SSR admit card posted on the official website of the forces said. A related notice regarding the Indian Navy recruitment also said "A common examination will be conducted for SSR Aug 2019 & AA-146 batches". The Indian Navy had announced recruitment for 3,400 Sailor vacancies recently for Senior Secondary Recruit (SSR), Artificer Apprentice (AA) or Matric Recruits (MR). Online exam for AA, SSR (August 2019 batches) and MR (October 2019 batch) will be conducted from February 23 to February 28, 2019. Indian Navy SSR admit card: How to download? Step 1 : Go to official website for Indian Navy Recruitment: www.joinindiannavy.gov.in. Step 2 : Click on the recruitment link visible under the 'Current Events' tab. Step 3 : In the new window, click on the admit card link. Step 4 : Enter your details and download your admit card link.